By now most of us should know RSS is a breakout technology for webmasters and internet marketers. If you still do not know what is RSS, check out here. More and more people are using it to distribute content and to drive traffic to their sites. Readers have the convenience of reading the latest content aggregated in their rss reader without having to visit multiple sites daily. One of the major benefits of subscribing to your favourite news via rss is ….. you will not be having spam mail compare to subscribing to email newsletter. And of cause ….. if you still remember, readers subscribing to rss feed might just unknowingly get rewarded (Hidden RSS Reward). With the exploding rss concept spreading, every big and small websites trying to include rss for their sites for any crazy purpose. Some have it just for the sake of joining in this rss crazed. I have been running a RSS Directory for over a year and consistently review and approve rss feed submissions to the directory. 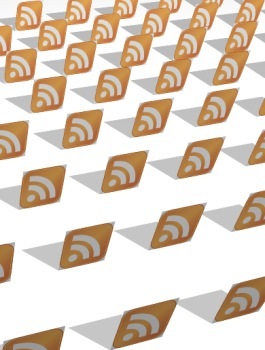 The purpose of my rss directory is to index useful news and content feed so that other less savy webmasters are able to choose these useful rss content from the submitted feeds and embed easily onto their own website. Do they really think i am going to approve and index their thousands of spamming submissions? How are these going to be useful for readers? The wonderful value of rss and its main purpose is to distribute latest content or news feed, NOT abusing it to use it as an indexing tool! Feel free to submit your rss to my PR 5 RSS Directory. However, as i’ve mention above, please do not spam submit if your rss feed has no readership value. Nice article. I will have to sign up to your RSS directory myself. It’s a shame some webmasters feel they have to cheat or exploit any new technology that comes along. Thankfully RSS directories like yours spend the time to filter out the noise. Tell me about it. In the last few days I’ve had 4-5 spam pingbacks from made-for-adsense blogs that just rob other content and put random names to it. Eg. “rob smith recently blogged about [my title here]” with excerpts. I keep deleting them, but if it continues I’ll have to turn on moderation or find a way to filter them out (easy to hook the event in blogengine, hard to recognise spam blogs! ).